Cream color finish and Gold color hardware. Alexandra Sand color in Eco Leather. Made in Spain, Natural wood veneer. Premium Quality, Round design case goods. 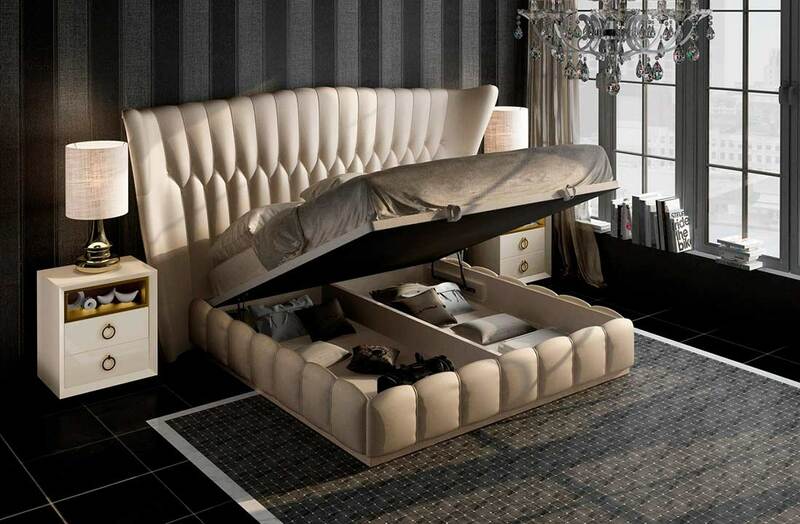 Contemporary oval bed. Chic and stylish!